Nephrovasculopathies are an increasing cause of end-stage renal failure. Hypertensive nephroscierosis is an old concept. In fact, the renal vascular lesions corresponding to this term can result from aging or a host of parenchymal renal diseases in the absence of elevated blood pressure. Nephrosclerosis is overdiagnosed. The diagnosis should rest only on renal biopsy, which is not usually done in an elderly patient with chronic renal insufficiency, hypertension and atrophic kidneys. 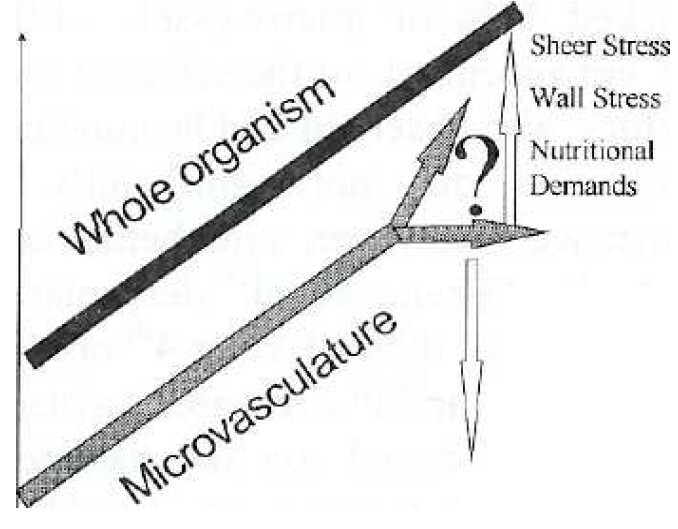 Atherosclerotic renal disease and renal cholesterol crystal embolism are often misdiagnosed for nephro-sclerosis. The classical picture of nephrosclerosis is the patient with primary hypertension accompanied by arterio-and arteriolonephrosclerosis, focal and segmental glomerulo­sclerosis leading to glomerular obsolescence, interstitial fibrosis and inflammatory infiltrates. 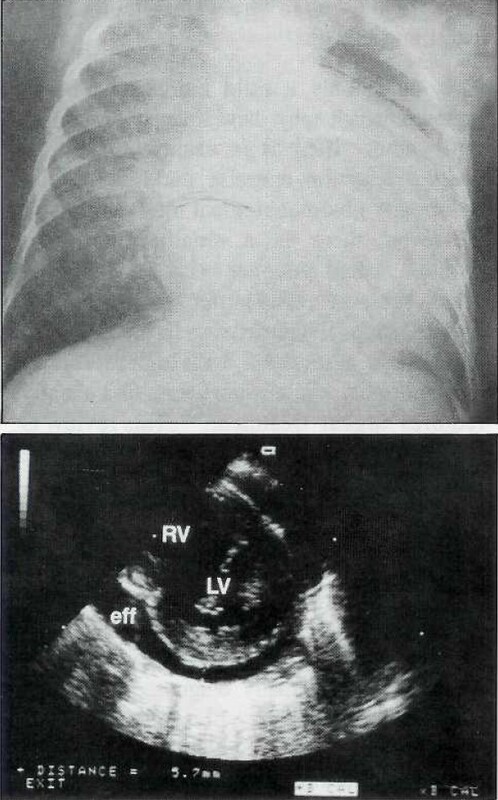 However, similar lesions can be observed in animal models as well as in some humans, especially blacks, in the absence of, or preceding the onset of hypertension. This suggests that nephrosclerosis might stem from a genetic defect in the renal vascular bed, a defect closely associated with the hypertensive trait. Recent data regarding the link between low birthweight and hypertension of early onset might have bearing on future developments in understanding the pathogenesis of nephrosclerosis. Treatment pursues two goals: normalizing blood pressure according to international recommendations and retarding sclerosis with a regimen essentially based on angiotensin II antagonists. We evaluate in this study the factors associated with the effect of age on blood pressure in more than 4800 patients. Their physicians referred them to evaluate for secondary causes for their hypertension. Factors studied included history and physical examination, serum sodium, potassium and creatinine, a stimulated plasma renin and catecholamine. We also studied the blood pressure response to infusion of either saralasin (an angiotensin II analogue) or enalapril (an angiotensin converting enzyme inhibitor), and plasma aldosterone and cortisol after infusion of saline. We measured serum thyroxin and thyroid stimulating hormone concentrations on 1061 consecutive patients in this series. The results of our study show that increased age is associated with a significant increase in the prevalence of hypertension and especially of systolic hypertension after age 60 years. 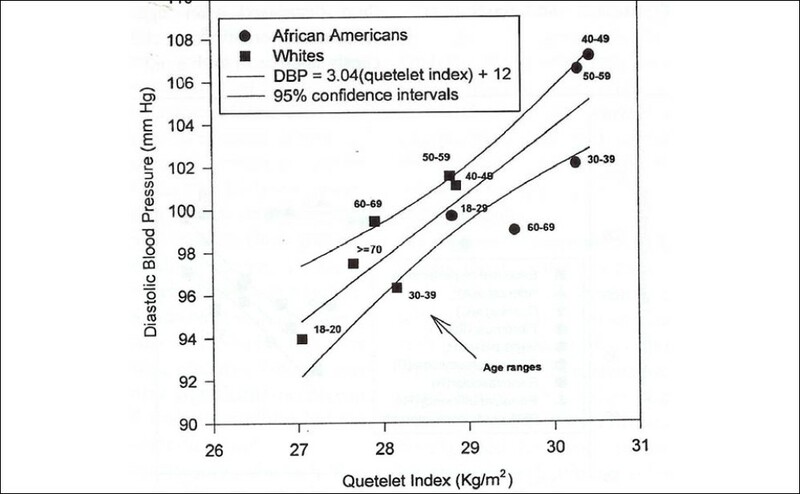 Increased obesity between age 30-50 years is associated with significant increases in diastolic blood pressure and this trend is also seen in African-Americans who are heavier than whites. Increased age is associated with an increased prevalence of secondary forms of hypertension including atherosclerotic renovascular hypertension, renal insufficiency and primary hypothyroidism. Patients with type I and II diabetes mellitus represent a population at high risk of the cardiovascular, cerebrovascular and renal effects of hypertension. Antihypertensive therapy should be considered for those with blood pressures above 130/85 mmHg with the aim to reduce levels below 125/75 especially for those with microalbummuria or diabetic nephropathy. Hypertension tends to occur on a background of multiple other risk factors. Life­style changes such as increased exercise and reduced salt intake, when combined with medication should improve the blood pressure response. On the currently available data, an Angiotensin Converting Enzyme (ACE) inhibitor, initially as mono-therapy, is the first choice antihypertensive agent in the absence of contraindications. Often dual or triple therapy is required to achieve target blood pressure levels. Hypertension is a frequent complication after renal transplantation. It contributes to the considerable cardiovascular morbidity and mortality in renal allograft recipients. Additionally, it has a major impact on long-term allograft survival. The pathogenesis of post transplant hypertension is multifactorial. Besides common risk factors, renal allograft recipients accumulate specific risk factors related to the original renal disease, renal transplantation per se and the immunosuppressive regimen. Chronic allograft dysfunction is the main cause of post transplant hypertension. The introduction of calcineurin inhibitors, such as cyclosporine, has increased the prevalence of hypertension. At present, the growing manual of diagnostic and therapeutic tools enables us to adapt better antihypertensive therapy. Tight monitoring, individualization of the immunosuppressive protocol, inclusion of non-pharmacological measures and aggressive antihypertensive treatment should help to minimize the negative implications of post transplant hypertension. Probably, this goal can only be reached by "normalization" of systolic and diastolic blood pressure to below 135/85 mmHg. Kuwait is a small country located on the northeastern part of the Arabian Peninsula. The most recent data on hypertension show: (a) a prevalence rate of 26.3%, (b) awareness of the disorder in only 23% of affected persons, (c) mild to moderate hypertension in 86% of subjects, (d) increased proportion of hypertensive patients at older age, (e) high prevalence in diabetics at age > 35 years and (f) high association with obesity. Most patients still use beta-blockers with a recent surge in calcium channel-blockers (except for immediate­release nifedipine) and angiotensin converting enzyme inhibitors. Hypertension was responsible for 935 hospital admissions in 1997. Its related co-morbid conditions such as ischemic heart disease, cerebrovascular accidents, congestive heart failure and chronic renal failure were responsible for 4111, 791, 690 and 978, hospital admissions, respectively, during the same year. Hypertension is the fourth common cause of end-stage renal disease. The most disturbing observation is the lack of disease awareness and the persistently high mortality rate of the disease and its co-morbid conditions. Efforts should be directed towards increase of awareness of this important risk factor for cardiovascular disease. Hypertension is considered a major health problem in several populations of the world. We compared a few isolated and three comprehensive studies covering the whole Kingdom of Saudi Arabia. The results show that different investigators found different prevalence of hypertension in different areas of the kingdom. There is a need to unify the diagnostic procedures and to determine the factors behind such significant differences. This report from the National Epidemiological Study of Hypertension in the United Arab Emirates (NESH-UAE) represents the preliminary results of phase I, comprising the prevalence, awareness, treatment and control of hypertension among UAE citizens (adults aged 18-75 years). The data reported in this study represent only the region of the Sharjah district, UAE. There were 3150 individuals enrolled for the study. Hypertension was defined as systolic pressure > 140 mmHg, and/or diastolic pressure >90 mmHg, and/or reported treatment with one or more antihypertensive medications. 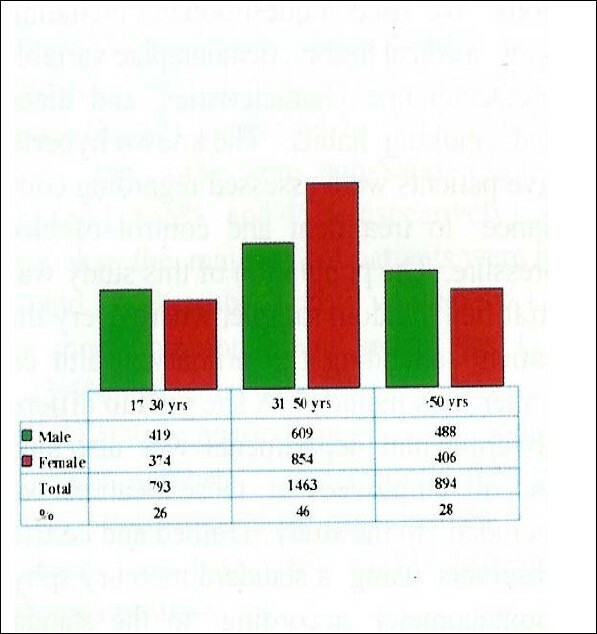 The overall prevalence in this screened sample was 36.6%. Most of the study subjects were in the productive age, from 30-50 years. 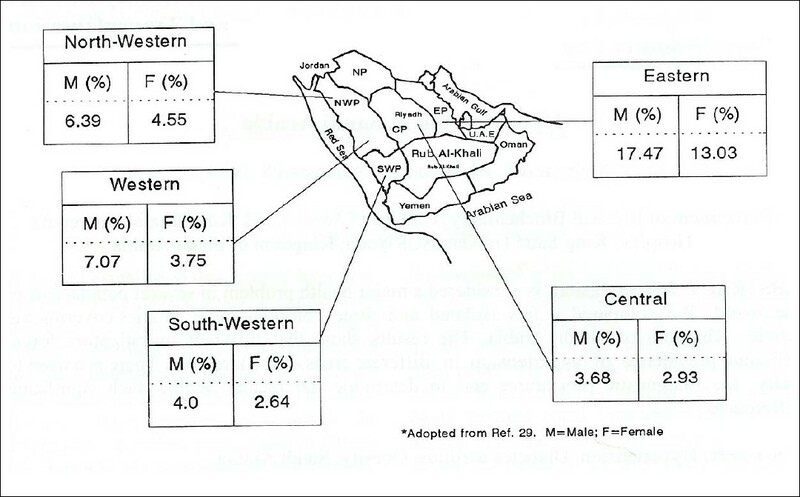 In the hypertensive group there are more females than males (53% vs. 47% respectively). Overall, 26% of hypertensive persons were aware that they had high blood pressure, 41% being treated with antihypertensive medications, and 19 % were under control (systolic pressure <140 and diastolic pressure <90 mmHg). We plan to extend the study to other regions in the country in order to attain a representative sample and results about this disease. These preliminary results indicate that hypertension is highly prevalent in the UAE. The rates of awareness, treatment and control are relatively low. Furthermore, they argue for a nation-wide effort to prevent and control high blood pressure in the UAE in order to prevent the related complications.